One of the biggest struggles of parenthood is feeding your family a healthy diet. You want to make sure there is a home-cooked meal on the table every night, but when you’re balancing your professional and personal life, you don’t have hours to spend in the kitchen after work each day. 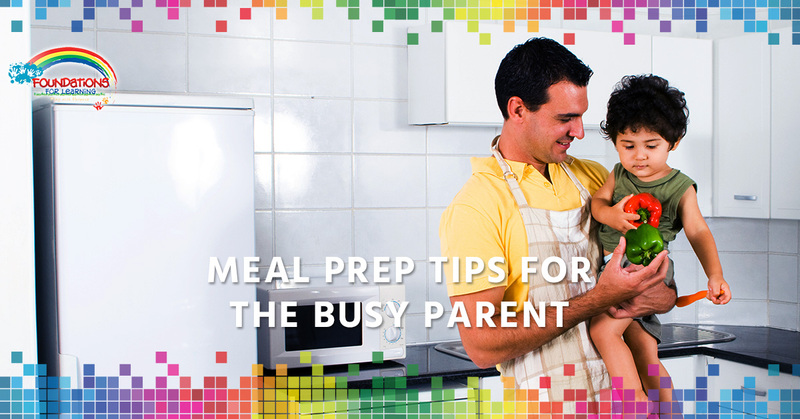 Fortunately, there are options for busy parents to ensure their family has healthy meals on hand so you can save money while keeping your family well-fed. Meal prep is the best friend of the parent who wears many hats. Not sure where to begin? Here are some tried and true tips! One of the biggest obstacles to meal prep is the clean up afterward. While you might be able to get behind the idea that cooking for a couple of hours every Sunday saves you time over the week, you don’t want to try to climb a mountain of dishes after you are done. Simplify clean up by making one-pot meals. Try making one meal a week in the crockpot to save you some time — when you get home from work, all the cooking is done for you! You should never be staring into the refrigerator, wondering what you should cook for dinner that night. Preparation is key. A good rule of thumb is to write out a meal plan on Friday, go grocery shopping on Saturday, and do prep on Sunday. Think about what meals you want to cook and make sure you have all the ingredients on hand. You can do some cooking on Sunday, or simply chop up the veggies and make any sauces so that your work is half-done by the time you are ready to cook during the week. When you’re a busy parent, it’s often worth it to pay for convenience. When you’re at the grocery store, you can often find pre-cut veggies or prepared meats that make it easy to throw together a healthy meal in no time. While you might have to pay a little extra, when you only have an hour to meal prep, it’s worth it to cut some corners. You can do a favor for your future self by making extra of any freezer-friendly recipes you make. This way, on busier weeks where you don’t have time to prep, you have some tasty and healthy options at your disposal. Pro-tip: put a few crockpot meals together in plastic bags to freeze. All you have to do is put in all the ingredients, and then the next time you need a meal figured out, simply dump the ingredients in your crockpot and let it do the work for you! You can significantly reduce food waste by being strategic about the ingredients you are using. Make your dollar stretch by planning for multiple recipes that use the same ingredient. For example, if you buy a large bag of kale, make kale salads one day and pasta sauce with kale another day. That way, you are getting the most bang for your buck and not wasting food. At Foundations for Learning, as busy parents ourselves, we understand the struggle that feeding your family can be, but if you plan ahead, it saves you a lot of time and money. If you’re looking for a preschool in South Windsor, contact us!